In early November, a Silver Spring pedestrian was killed in what Montgomery Police tentatively are calling a hit and run. A few days before that, another pedestrian was struck and killed by a motorist while crossing the street in Takoma Park. 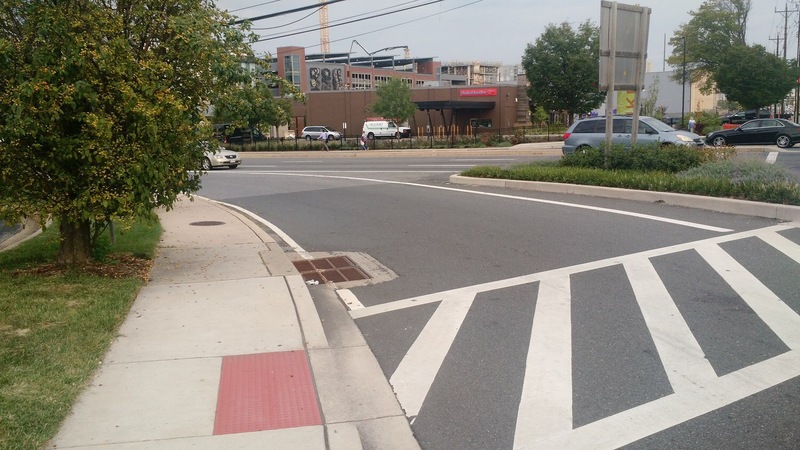 And in late October, a third pedestrian was struck while crossing the street in Gaithersburg. That’s three tragic pedestrian fatalities in less than a month in our area. 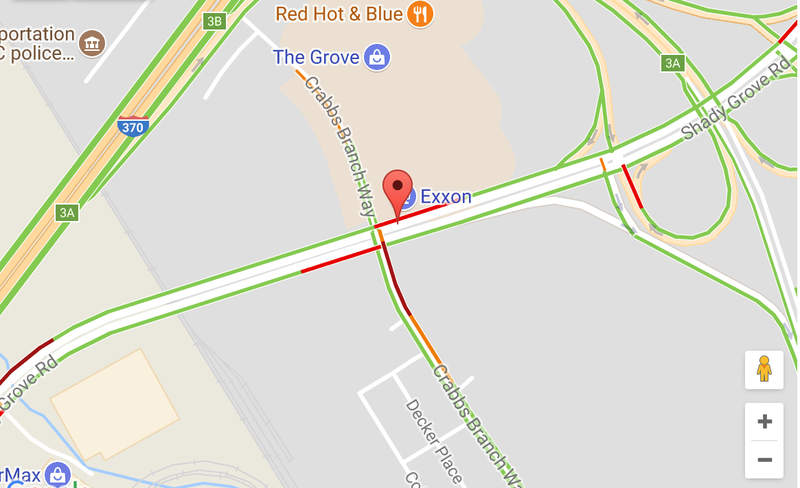 And while we do not want to speculate on the circumstances of these incidents while all three remain under investigation, these tragedies nonetheless should serve as an important reminder that pedestrian safety on Montgomery County’s busiest roadways remains a pressing public safety issue. In response to these public safety concerns, MoCo is one of the first counties in the country to adopt the Vision Zero concept, an ambitious goal of eliminating all pedestrian deaths by 2030. But is the county doing all that it can? Are we aligning our resources and public safety improvement projects in a way which most efficiently and effectively protect our pedestrians? The answer for some community advocates is a resounding NO. Despite the County’s Vision Zero intiative and programs, residents in many neighborhoods like Forest Glen and sections of White Flint still must gamble with their lives as they try to access mass transit and other amenities in the county. Fortunately, now we have an opportunity to do something about it. Montgomery County has a history of successfully creating walkable communities. Today, downtown Silver Spring and Bethesda consist of a vibrant mix of housing, retail and mass transit which allow for an urban experience that can rival many urban parts of cosmopolitan DC. Yet other MoCo neighborhoods near mass transit haven’t seen the same level of investment in safe and walkable neighborhoods, even though these kind of investments would allow for better access to amenities and could promote future economic growth. To make matters worse, projects like the Montrose Parkway East have threatened the new urban nature of neighborhoods like White Flint, which are currently experiencing a kind of renaissance since the completion of the new Pike and Rose development. More Cars on Rock Creek? According to Dan Reed, urban planner, realtor and author of the blog Just Up the Pike, transportation planning for the current version of Montrose Parkway began in 1998 and resulted in the construction of the segment west of Rockville Pike, which opened in 2010. 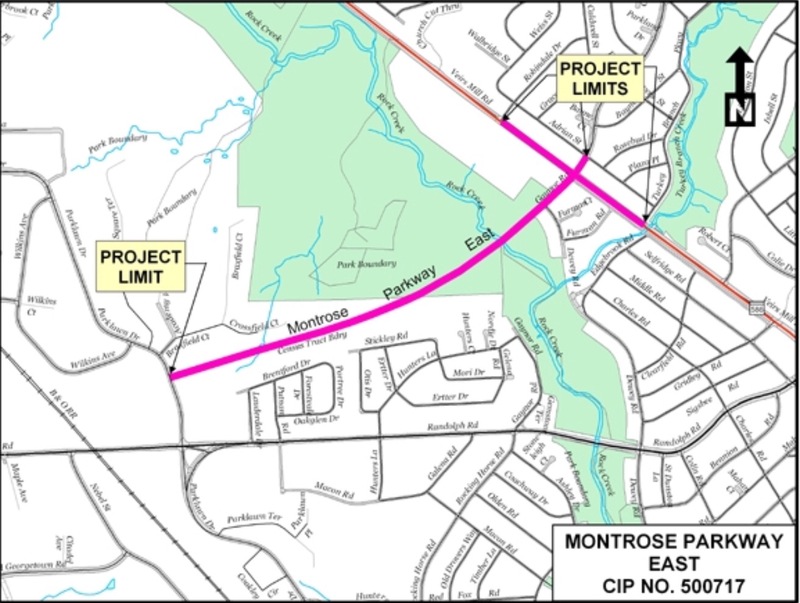 The State Highway Administration (SHA) and the Montgomery County Department of Transportation (MCDOT) insist that the controversial Montrose Parkway East is needed to handle anticipated traffic from the redevelopment of White Flint. Reed suggests that recent studies and local examples prove that compact, mixed-use development like White Flint will actually reduce traffic, raising the question whether MCDOT and SHA’s concerns are actually valid. So why are we looking at adding more cars to the road and destroying our county’s already limited green space? The proposed Montrose Parkway East not only disrupts the urban flow of White Flint but it literally tears through Rock Creek Park. Below marked in red is the proposed pathway for the parkway. As it stands, the “Parkway” is set to destroy hundreds of mature trees that currently act as a buffer for many homes and parks. The Winding Creek Local Park will be affected the most by having a pretzel like interchange right around the corner from what many consider a green urban oasis. Many have expressed concern that the proposed Montrose Parkway East would also become a barrier between White Flint and Twinbrook, making it very difficult for people to walk or bike from one side of this area to the other. In the past, former MoCo Planner Larry Cole argued that the large size of the planned Montrose Parkway was simply due to land availability. To Cole, it seemed that the county and state’s plans were “overdesigned” and overestimated the amount of future car traffic in White Flint. So what would happen if the $140 million dollars committed to the Parkway were used for other purposes? Some would like to see it used to increase pedestrian safety in White Flint. Others would like to see it go towards the construction of 2 new metro entrances in White Flint and Silver Spring. 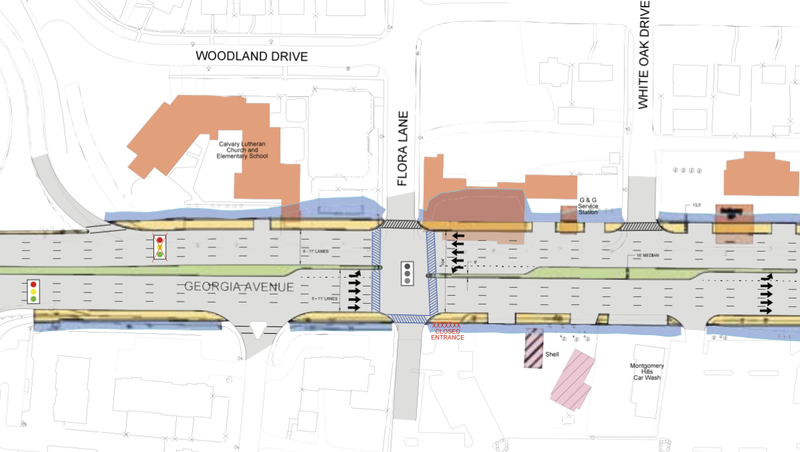 It could also pay for new bike programs and re-design of one of MoCo’s most blighted thoroughfares, Georgia Avenue. In Forest Glen, pedestrian safety has been an issue for many years, and yet there has been minimal investment in making the area more walkable. This is especially surprising given the number of public facilities and amenities close to mass transit along the busy corridor. Forest Glen, a census designated area with approximately 6,582 residents over a 1.4 square mile area that is divided by Georgia Avenue on the east and west sides, boasts a Metro stop, a 443-bed regional hospital (Holy Cross), Army base (Walter Reed Forest Glen Annex), and national museum — all within a quarter mile of the Capital Beltway. It is also a short bike ride from this area to several popular parks along Sligo Creek and Rock Creek. There are also several popular, high-use parks at nearby Evans Parkway which were recently renovated by the county. Many large and active church buildings line Georgia Avenue and are used by multiple, diverse congregations throughout the week. A new health center was also just opened by the county on nearby Dennis Avenue. Furthermore, all of these amenities are actively visited by pedestrians, bike riders, and mass transit users. The neighborhood is also currently the focus of redevelopment efforts by WMATA, namely the possibility of converting an eight-acre surface parking lot into a mixed-use development with an emphasis on supporting Holy Cross Hospital. 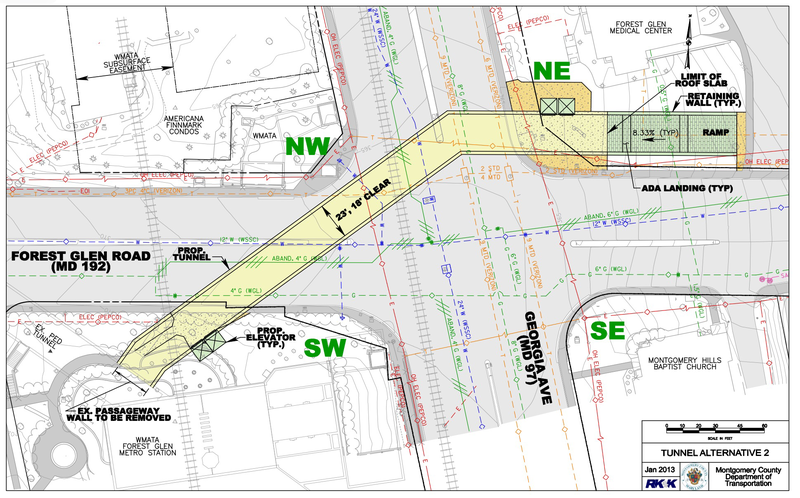 For over two decades, the community has been advocating for constructing a second Metro entrance on the east side of Georgia Avenue so residents would not have to cross a 8-lane highway just to get to the station. It is particularly dangerous to cross this state road on foot. The lack of a second entrance has also prevented any transit orientated development (often called TOD) to occur since the construction and opening of the Forest Glen station in 1990. In addition, those who live on the other side of the beltway in Forest Glen have to deal with a Georgia Ave corridor that hasn’t been upgraded since it was first widened several decades ago. Although SHA is currently working on a re-design, many of these projects have been seemingly stuck in funding queues at both the county and state levels for several years, with little or no progress in sight. What could the $140 million price tag for the Montrose Parkway East pay for? With the sector plan consolidation of Forest Glen and Montgomery Hills, the county has an opportunity to use funds in a way that could provide safety measures to over 12,000 residents on a day-to-day basis. This could not only spark smart growth on almost 15 acres of available land but could also make Forest Glen and Montgomery Hills a safer and more walkable community. In addition, after millions of dollars in investment in White Flint, MoCo also has an opportunity to increase pedestrian safety in a way that enhances the new urban nature of White Flint while protecting its sensitive green spaces. 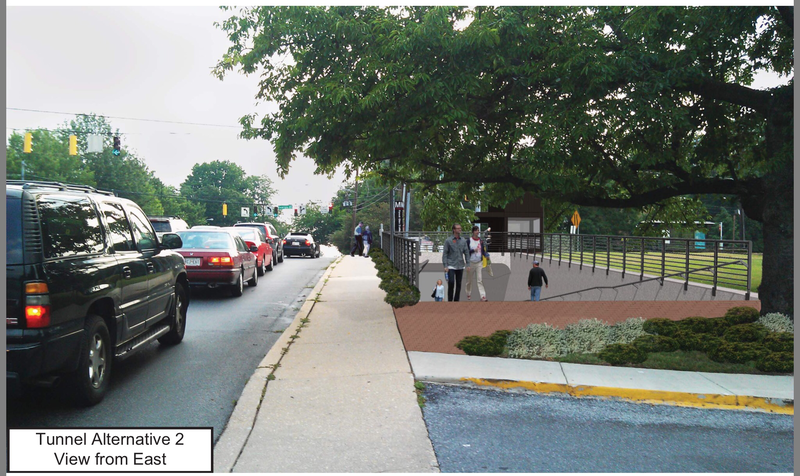 In the support of this endeavor, community advocates have created a petition urging the Montgomery County leadership to take the steps needed to make these pedestrian improvements a reality. Just like consumers advocated for car safety many years ago, pedestrians and community members alike must stand together to advocate for a better and safer walkable Montgomery County. Fund the Forest Glen 2nd Entrance TODAY!! The Montgomery County Council has an opportunity to fund pedestrian improvements in Forest Glen AND White Flint – something that will help both sides of the county and help us achieve the County’s Vision Zero. Sign the Petition today and join our efforts. Meetings and more information COMING SOON!